A 17 year-old Malawian boy is in great pain as he is suffering from a strange disease which doctors in the country have openly admitted failure to treat. 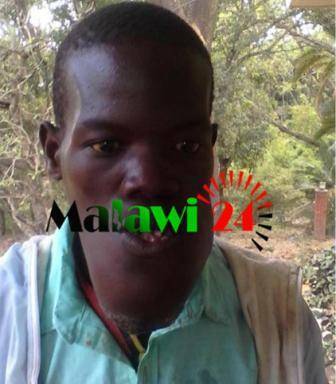 The patient, Mphatso Jangiya a form three student at Matandwe Community Day Secondary School is currently at Mzuzu Central Hospital waiting for well-wishers to lend a hand to him so that he can manage to go to South Africa for treatment. In an interview, his teacher Kamuyanja Elayija told Malawi24 that Jangiya’s disease started as a gum problem since he was feeling cavity pain and his gum started swelling. Elayija explained that the boy together with his parents have tried to visit all major hospitals in the country looking for treatment for the problem but to no avail. Mphatso Jangiya living in pain. He said they have just been told that the hospitals in the country cannot cure the problem and they should to go to South Africa for treatment. “But this helped nothing and they proceeded to Queen Elizabeth Central Hospital in Blantyre and then referred to Kamuzu Central Hospital in Lilongwe where doctors failed and told them that they should meet doctors in South Africa,” explained Elayija. According to Elayija, Jangiya’s gums have bulged and he is struggling to eat and to speak. Currently a well-wisher in Mzuzu who denied to be mentioned has lend a hand Jangiya with MK1.3 million out of One Million, five Hundred and Ten Thousand Kwacha needed. The Jangiya family is seeking the remaining MK210, OOO (Two hundred and Ten) from well-wishers for their trip to SA since they cannot afford to get that amount on their own because victim’s father died and his mother is financially poor. Elayija described Jangiya as a genius in class who passed his Junior Certificate of Education examinations with flying colors. Jangiya comes from Mmina village, Traditional Authority Mwambo in Zomba district. Ngati madotolo alephera nde kuti mpofunika abwere aja amayenda m’malele aja amazitchula okha kuti ndi aphwake a Mulungu aja, achina Bushiri ndi azinzake. Panthawi yazovuta chonchi amabisala saonekera ayi amaopa ayaluka. Dont blv in money but in God we find everything,whats wrong with the boy? May da gud LORD heal him. Osamangodya milomo pamenepo mwayimva nkhaniyo? Abale tikudziwa kuti Mulungu amachiza. Mnyamatayu akusowekera not only mapemphero komanso finances. Ndiye mukamangoti pita kwa abusa akuti…kapena akuti…sizimuthandiza. Mmenenso ndikuonera alibe mwayi wowerenga ma msg omwe mwalemba apawa. Koma kwa amene akuchimva mumtima mwawo angomutumizira ndlamayo whilst praying fo him. Ndatukwana ngati? Lord have mercy on this little boy. Kodi mwati Busy Signal akubwela ku MW? The desease resembles bone degeneration, though it’s rare but the solution can’t really be done here in Malawi coz they have to remove all the affected part and replace it with artificial bones and restructure his face, with our resources, he can not get such a treatment here. let’s just hold hands Malawians, we can. May the healing hand of God heal him in Jesus name ! ! God have mercy on him and heal him. I am afraid if they are failling to treat a single person,what if the disease attacks a hundred people? Hw many will die untreated? More blessings to the man who donate 1.3m, I got nothing to donate but I will keep you in players. Our Almighty father in heaven will be with you in every step of the way. Malawi come December will be in Brantyre teaching people how to create a residual income. Are you interested inbox me. No need to solicit funds for him…let all the ministers donate the money they get for doing nothing and bring him up here.!! God bles the hand that gives . By his stripes we were healed’ so God is the healer.. If the doctorz hav failed then Jesus Christ is the only one”nathin is inpoosbo to Him”..
May the gud Lord heal him in Jesus name and may he bless the one who has offered a helping hand to this young man. Ambuye Mulungu, mopempha Atate, tichotsereni ululu umeneu. I command dat disease out out! May the Almighty God be with him! ‘Illness that doctors locally say is incurable” that’s how poor our doctors are that couldn’t identify the disease? Why hiding the disease but exposing the amount required for medical treatment in South Africa.? Just last month I suffered a similar diseases. My lower gun on the left started to swell and bulge like a balloon. However, I do make Kigel powder (MVUNGUTI) and started taking daily. After 2 weeks the disease healed. I am in Lilongwe. Call/WhatsApp 0999365245. I can try to treat him free while he is waiting for his trip to RSA. I am in Area 25 A.
no problem z permanent he wil b healed in Jesus name! Awwwy thats my pastor ,Indeed he is a powerful man of GOD!.. May God touch him, heal him permanently in Jesus name. Lord Jesus. Help us to be free from these strange diseases. We know we have lost your way of righteousness. Please Lord. Heal this young man and end up this disease. We beg in you and we trust. AMEN. What man cant do, God does it. Malawi24 you have a problem of writing stories coherently. Look here, people are understanding this story differently. what is impossible wth a man,is possible wth God. OH GOD HEAL DE BOY! I think your brain need to be fixed. Are the figures given correct.It seems the well wisher has donated more than what he needs to go to RSA if we go by what this report is telling us!! !